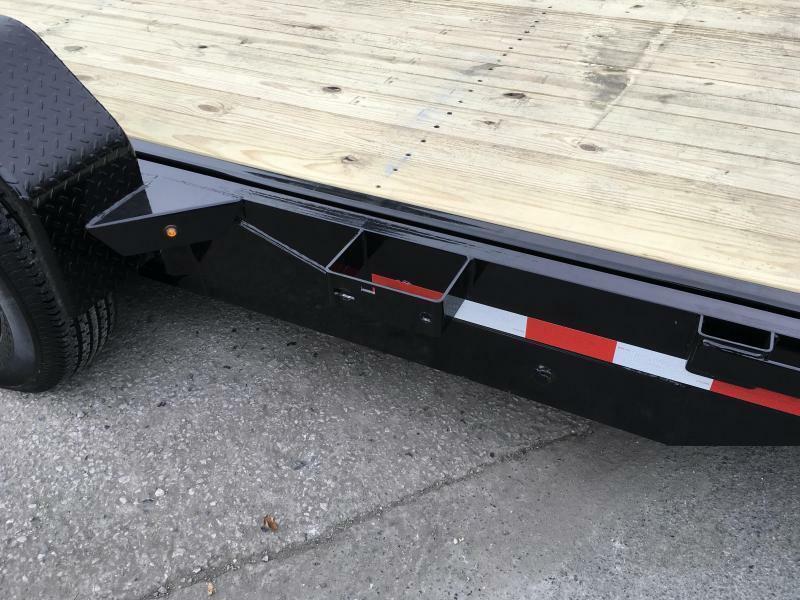 UNIT IS EQUIPPED WITH OPTIONAL OAK DECK FOR BETTER TRACTION AND DURABILITY. 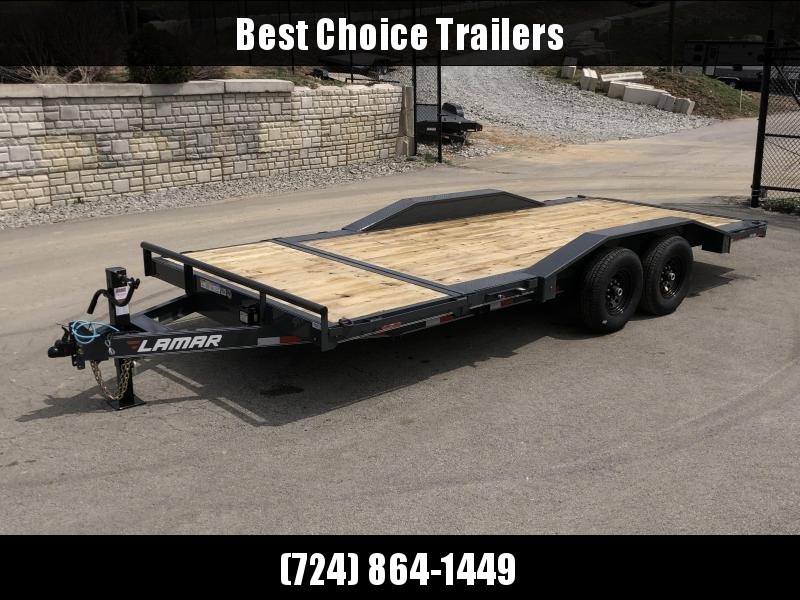 This is an awesome trailer for loading a single piece of equipment, such as a bobcat, mini-ex, compact tractor, etc. 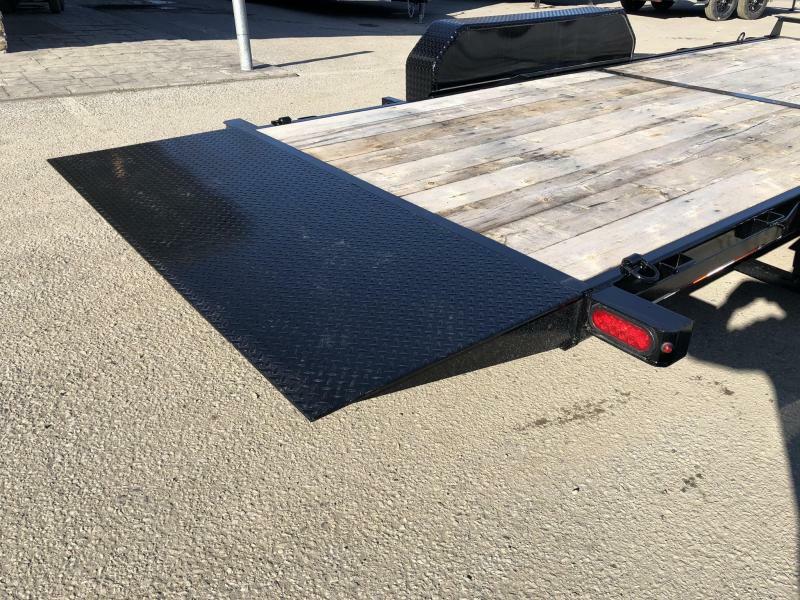 The cushion dampener makes the decent seamless and controlled. 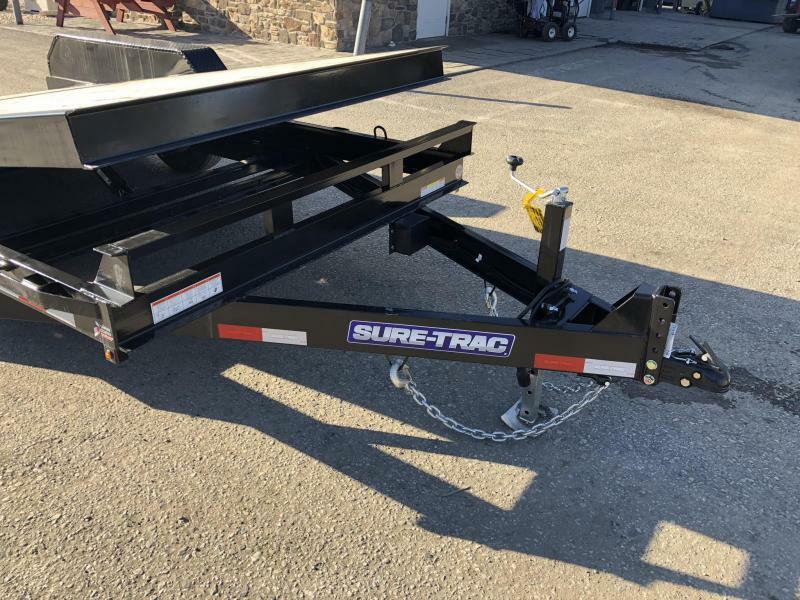 The load angle is very low, allowing for loading low profile items as well, such as scissor lifts. 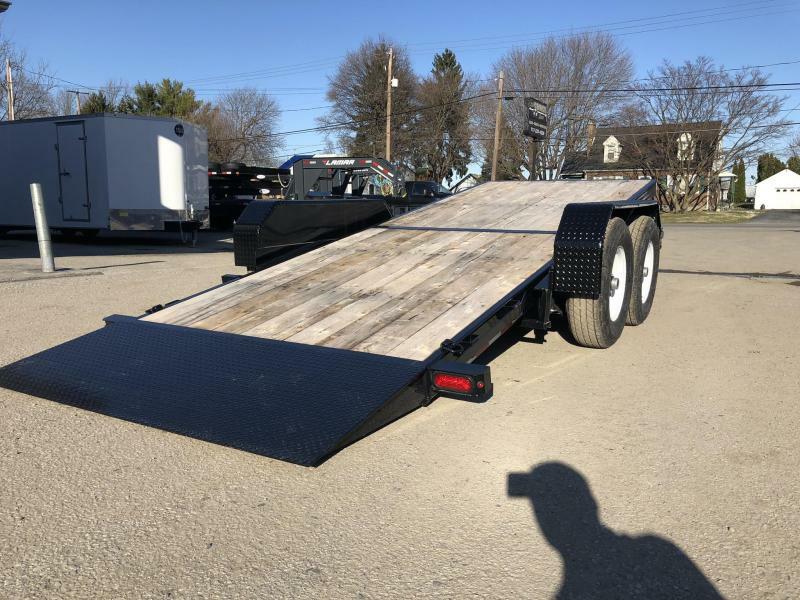 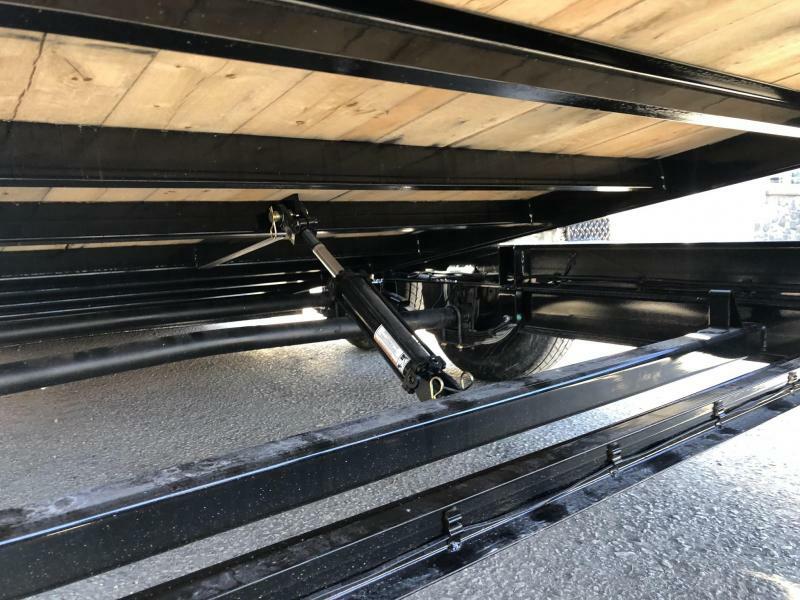 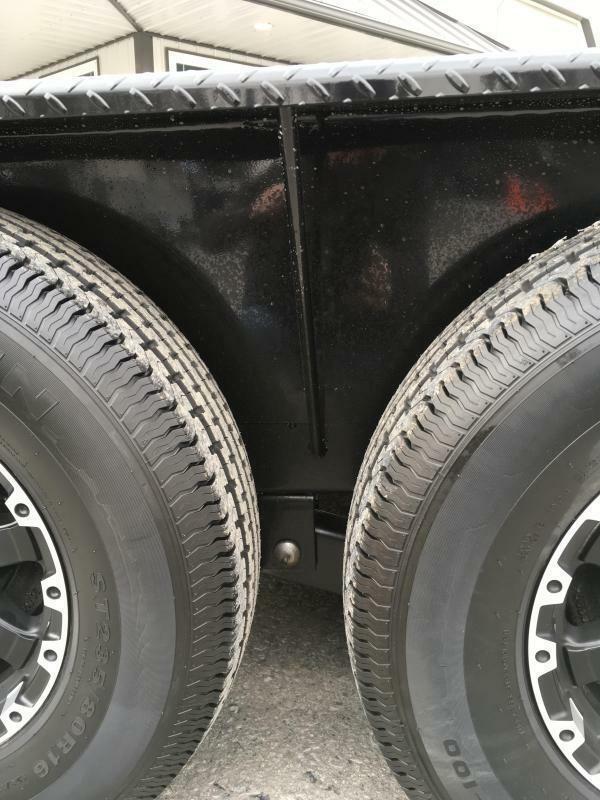 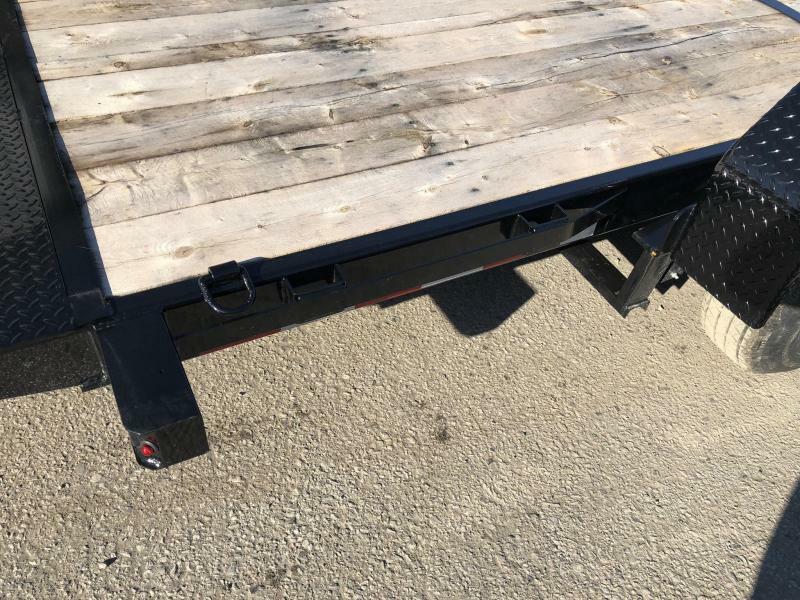 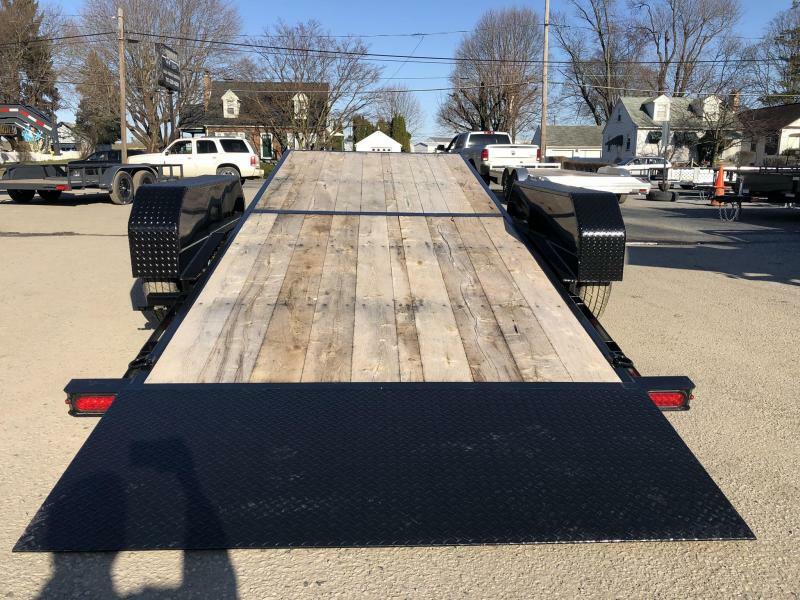 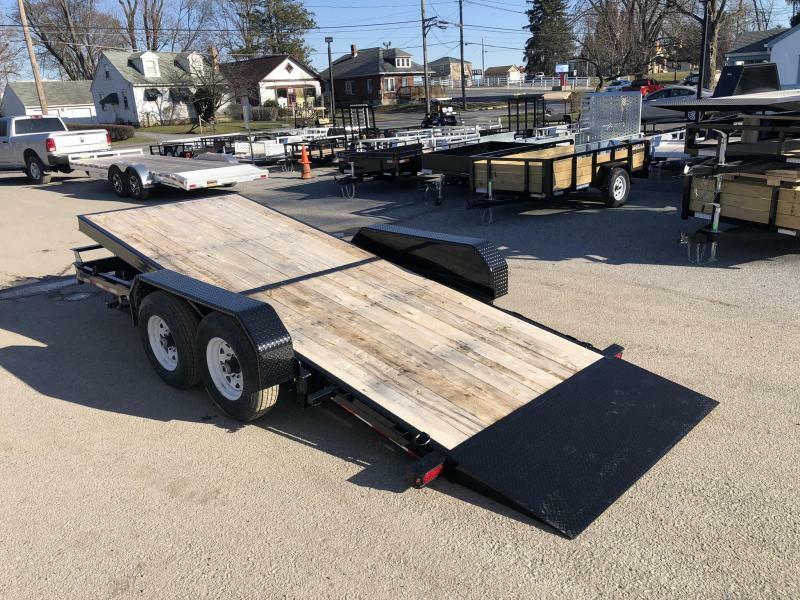 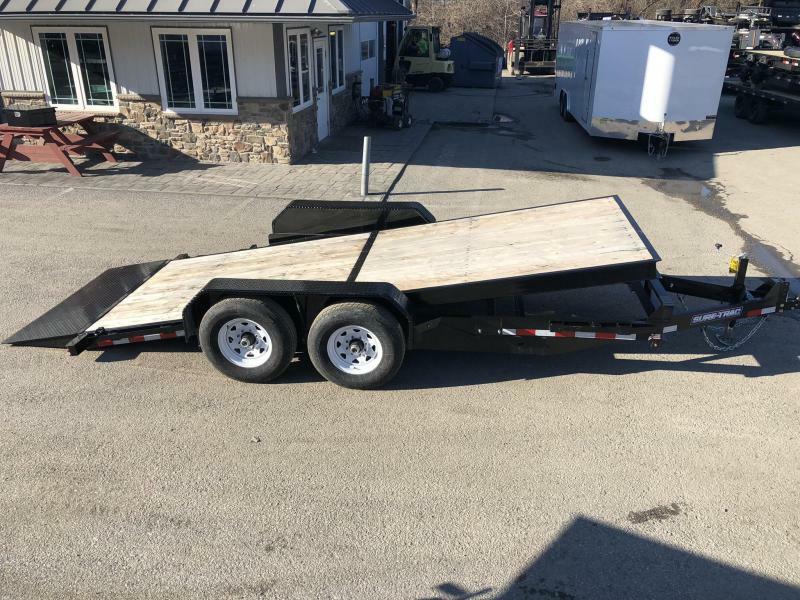 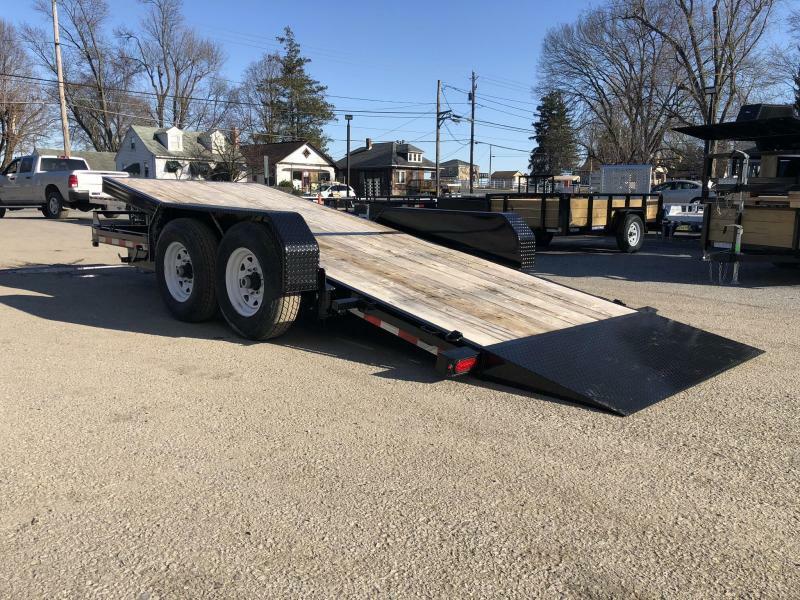 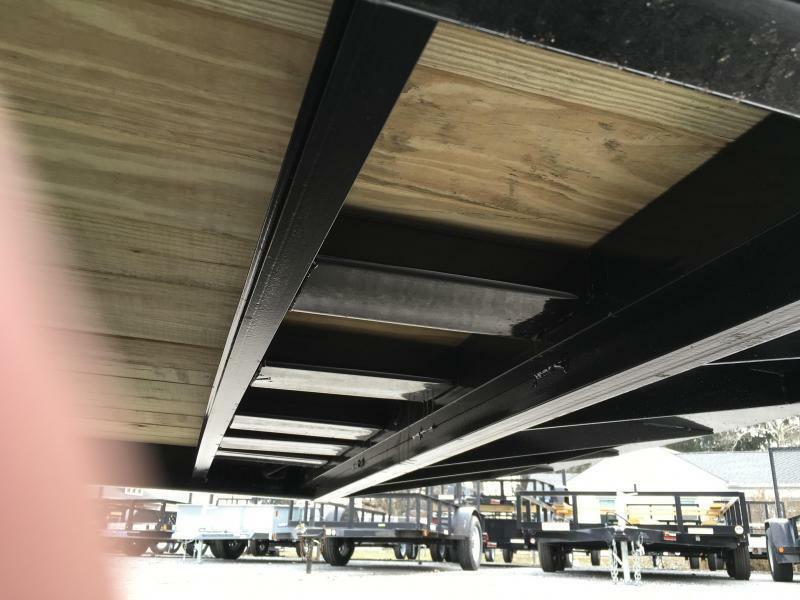 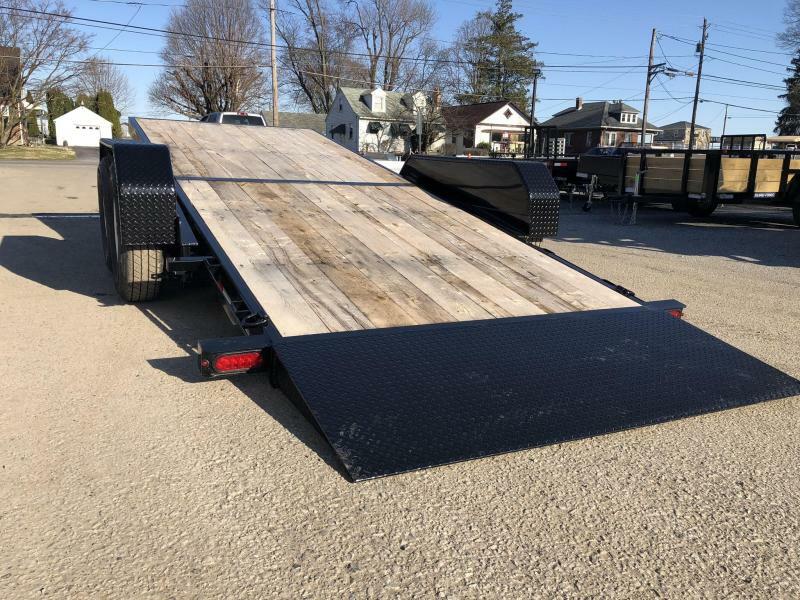 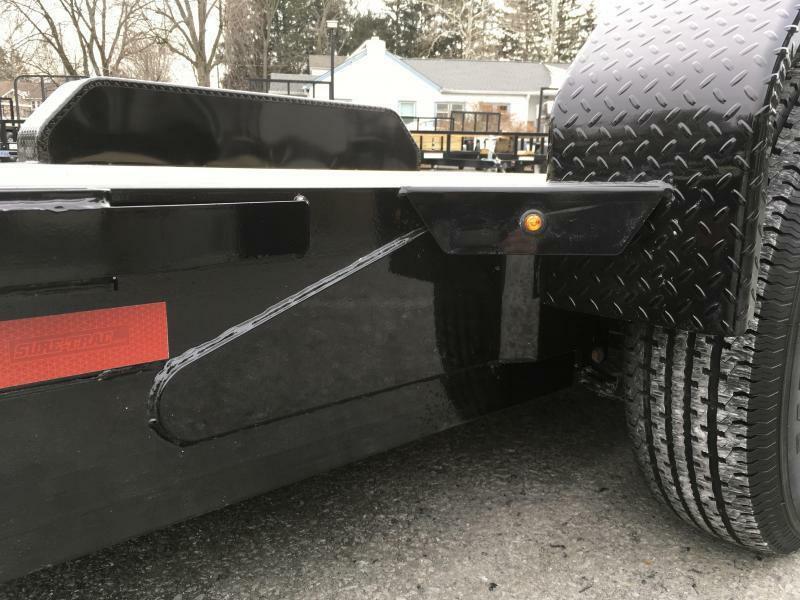 A tilt has a few main benefits, including the ability to overhang, no beavertail to drag, full width loading, and an extremely low load angle due to drop axles. 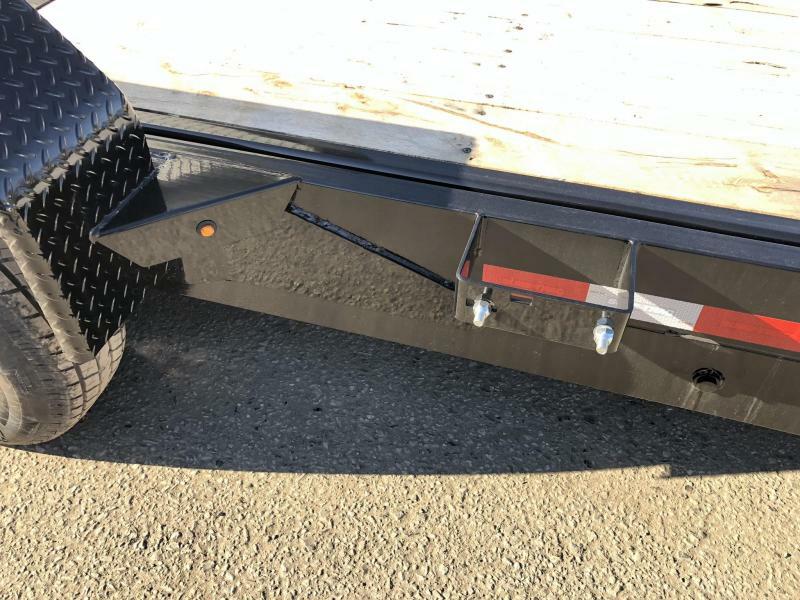 NOTE: Stock photos show unit with optional (not included) aluminum wheels. 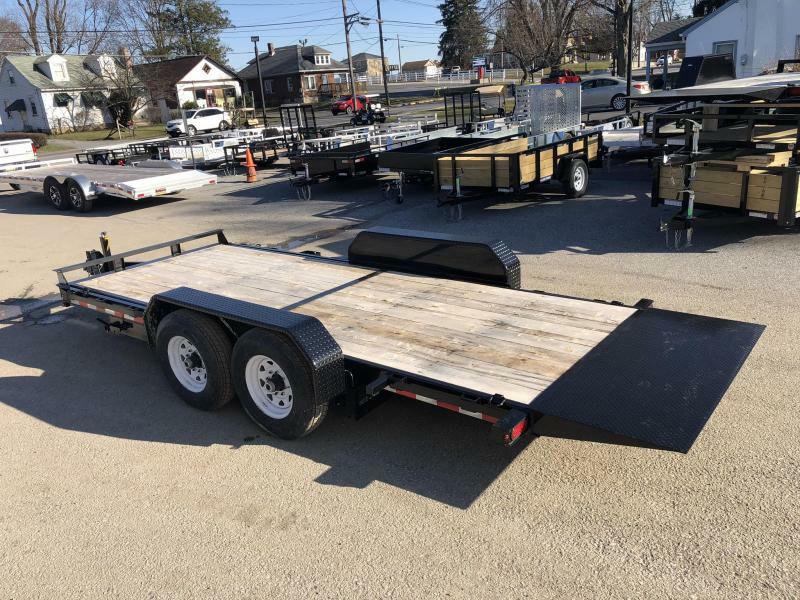 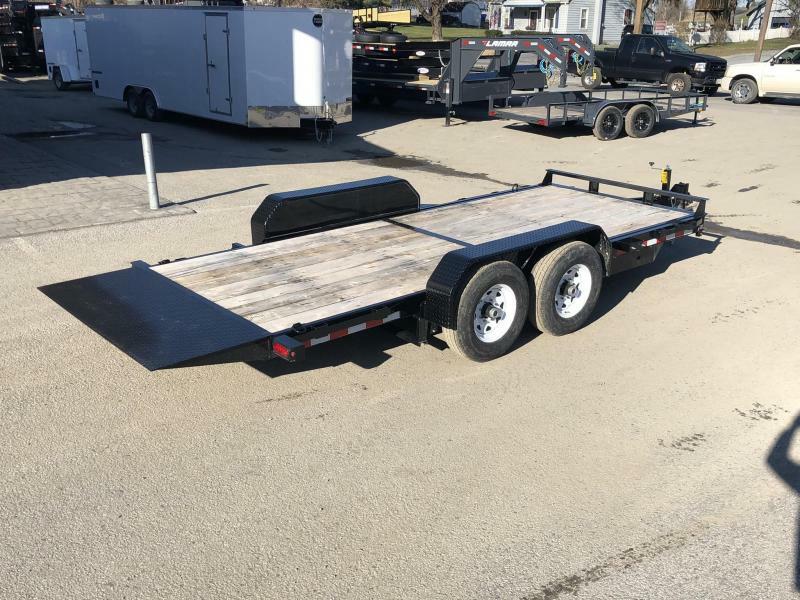 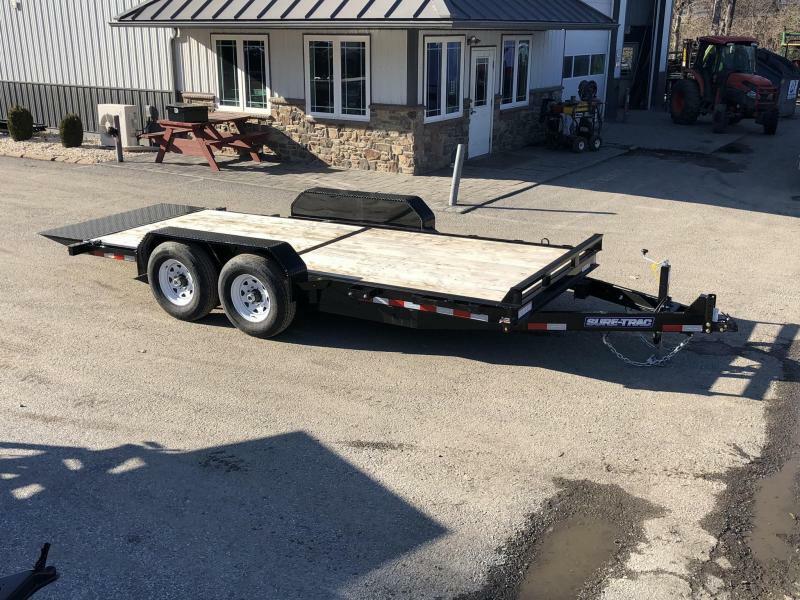 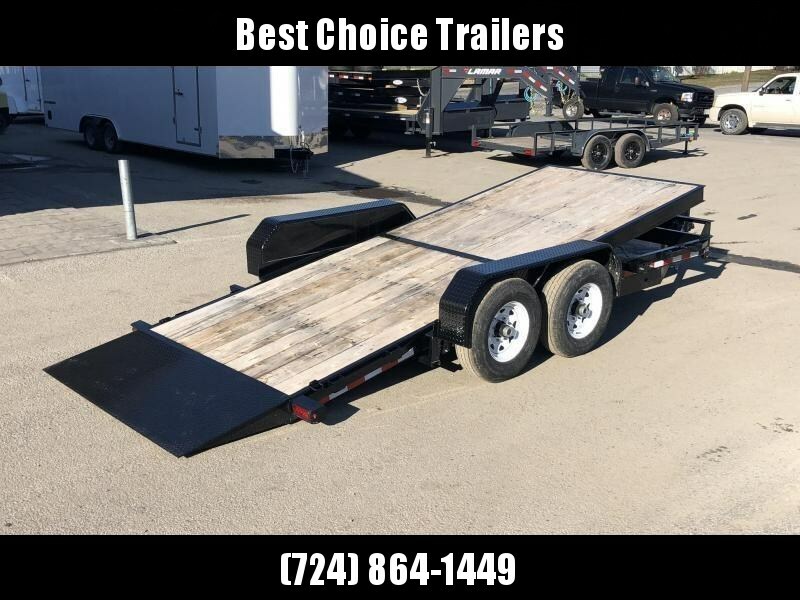 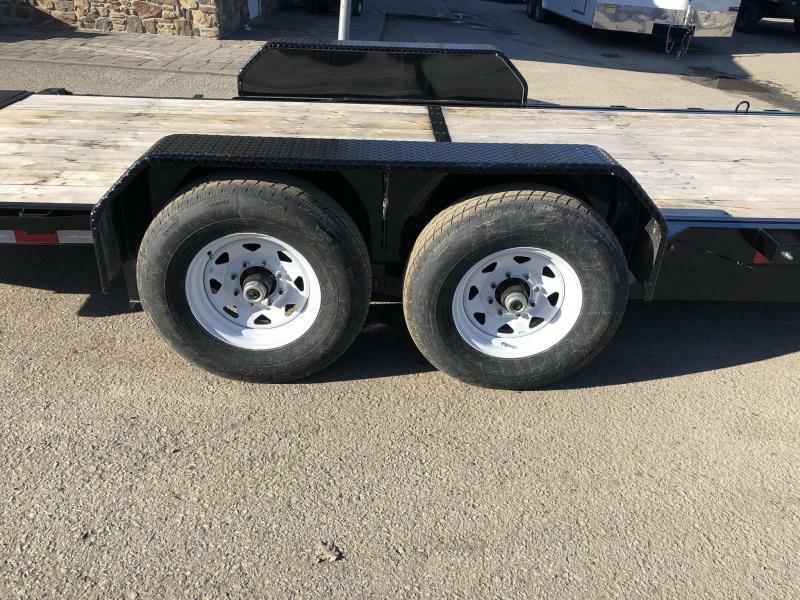 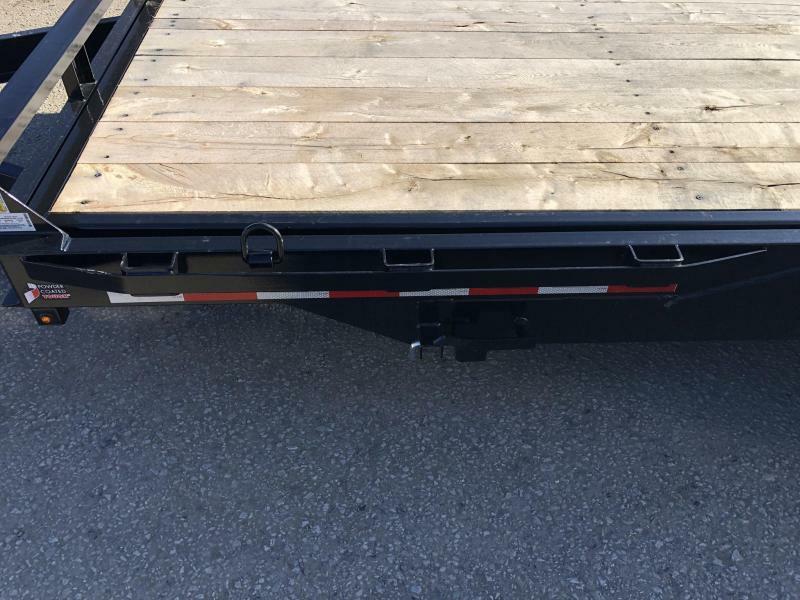 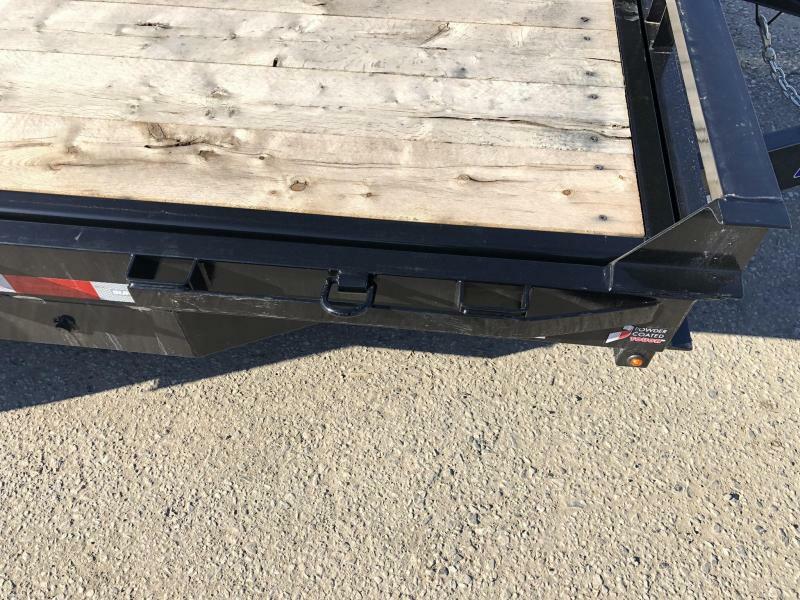 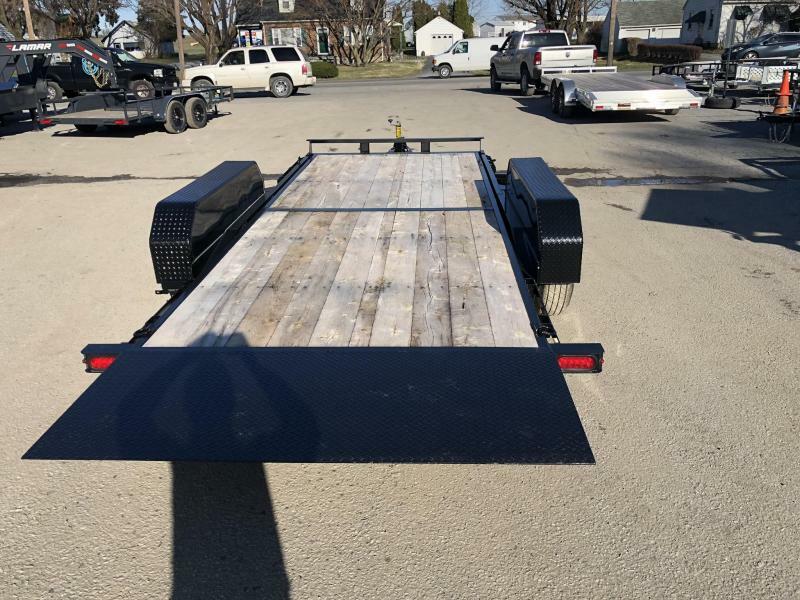 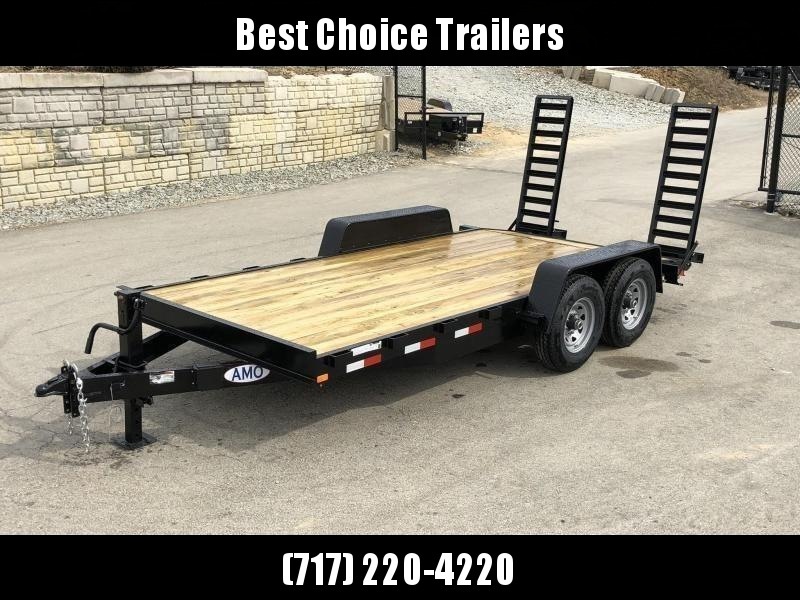 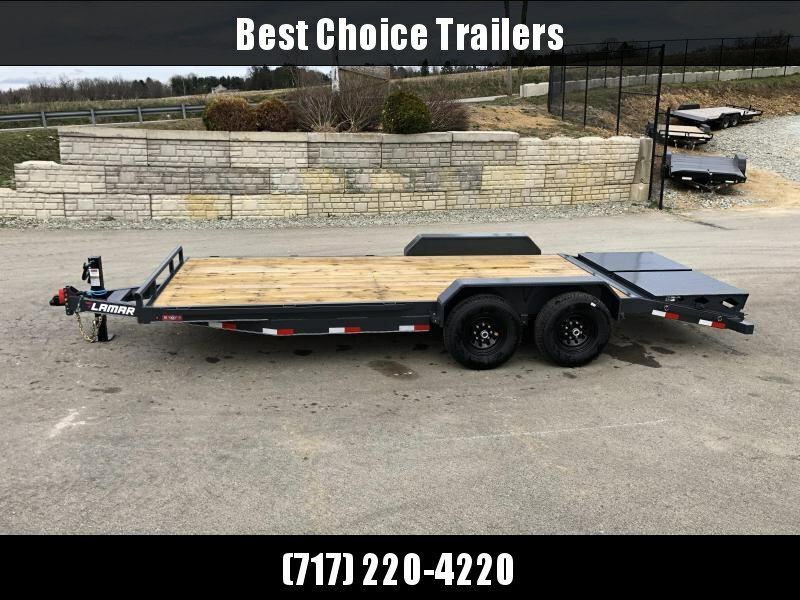 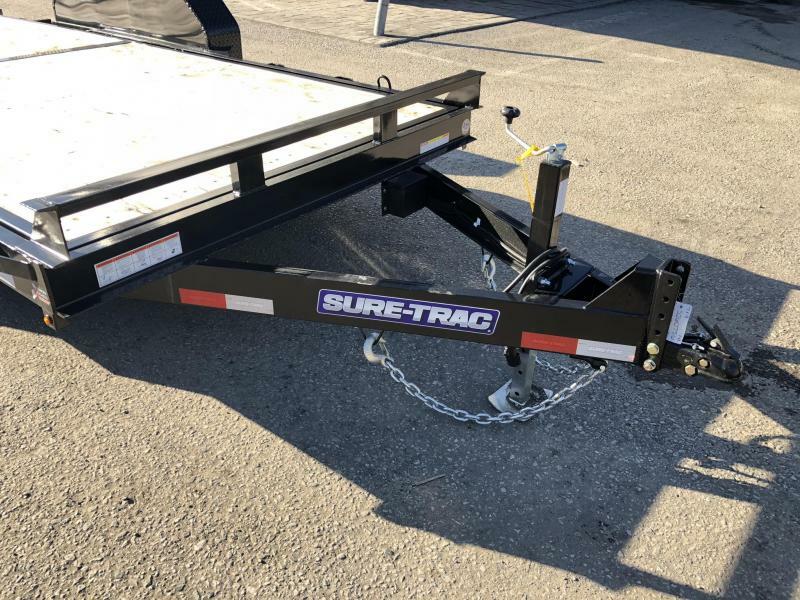 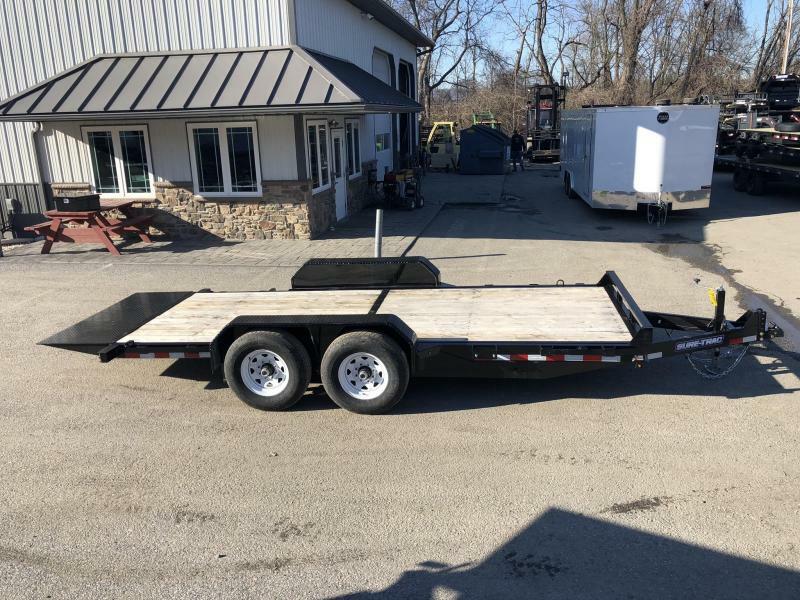 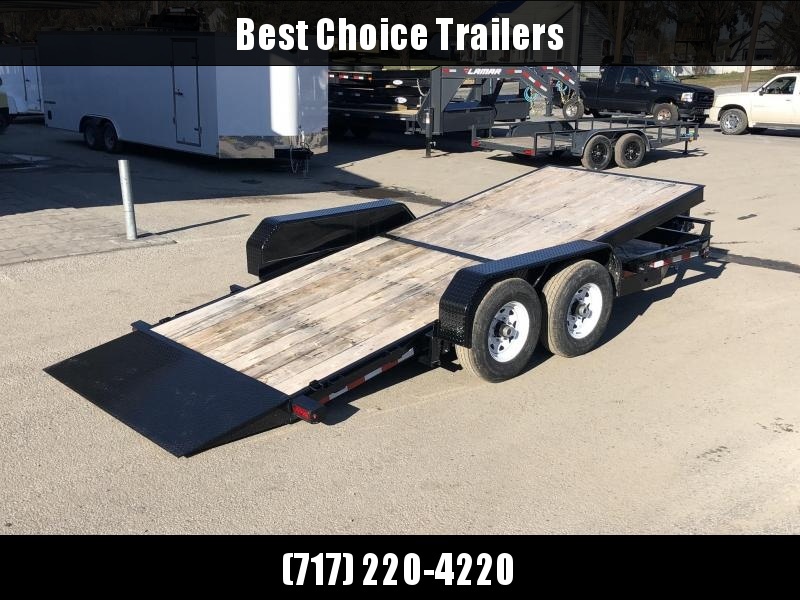 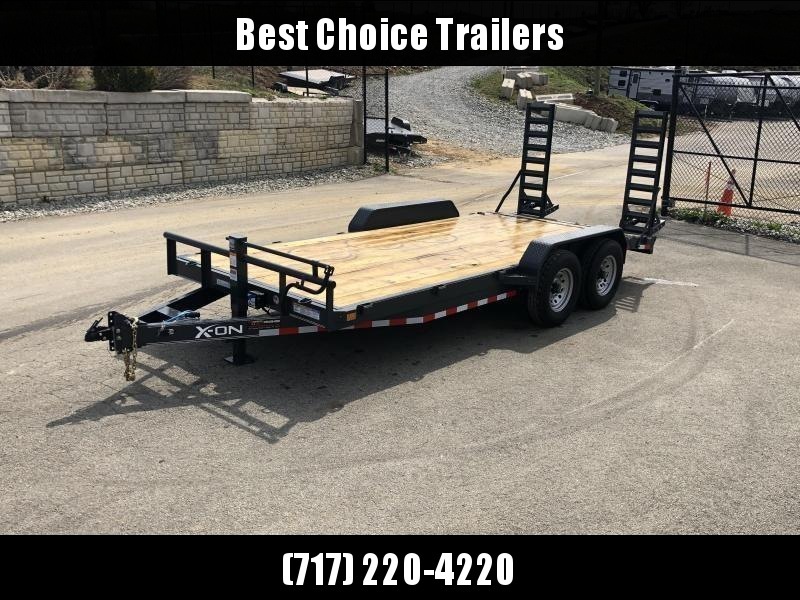 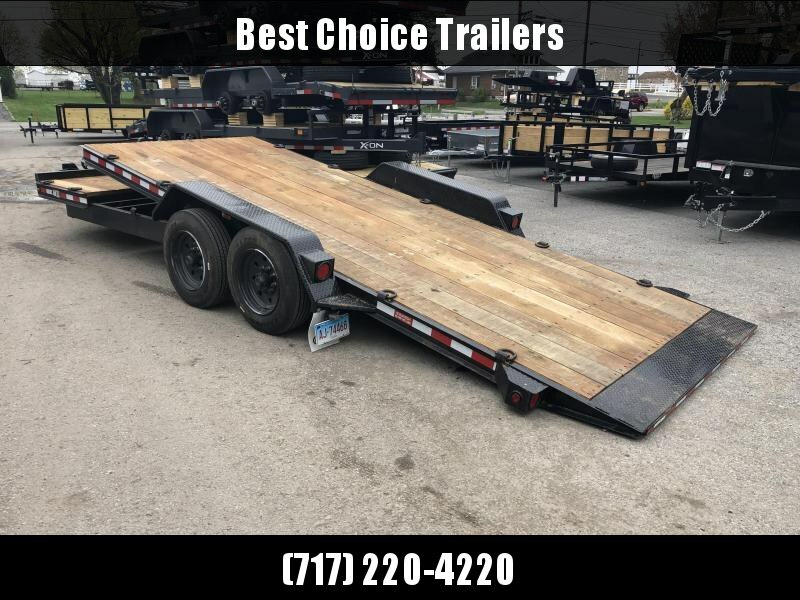 Trailer is sold standard with 4 white or silver steel wheels.